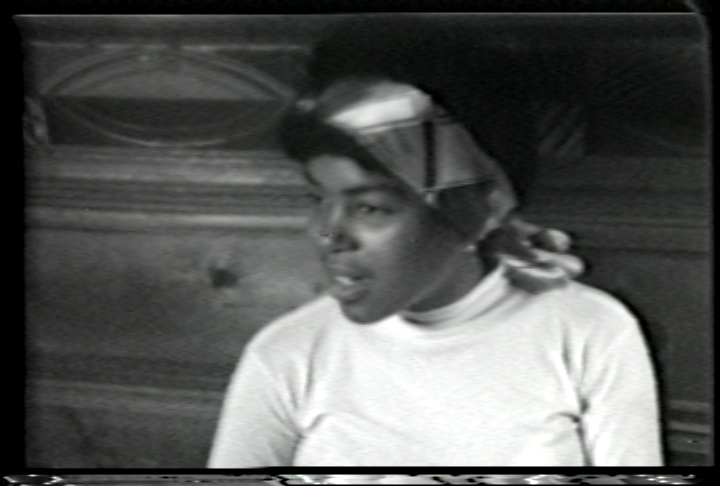 The video opens with a statement by Mrs. Seale regarding her husband’s illegal imprisonment, the unfairness his current trial and the general purpose of the Black Panther Party. The tape provides a platform for Mrs. Seale to espouse the values of the party, it’s goals and the injustices it is currently suffering. The intensity of the message is counterbalanced by brief points of informality during the interview – a lighter side of Mrs. Seale is revealed in between moments of her well-rehearsed, and dedicated talking points. The overall tone of the conversation, however, remains appropriately somber as she communicates her party’s tenets, it’s revolutionary politics, and its educational goals.